Maps are magic carpets on which you fly back in time over places familiar and strange. 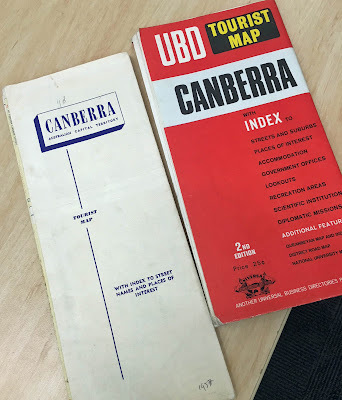 It was a thrill, then, to return from lunch today to find a donation of four older maps of Canberra for the ACT Heritage Library. but these from 1957 and 1970 were new to us. 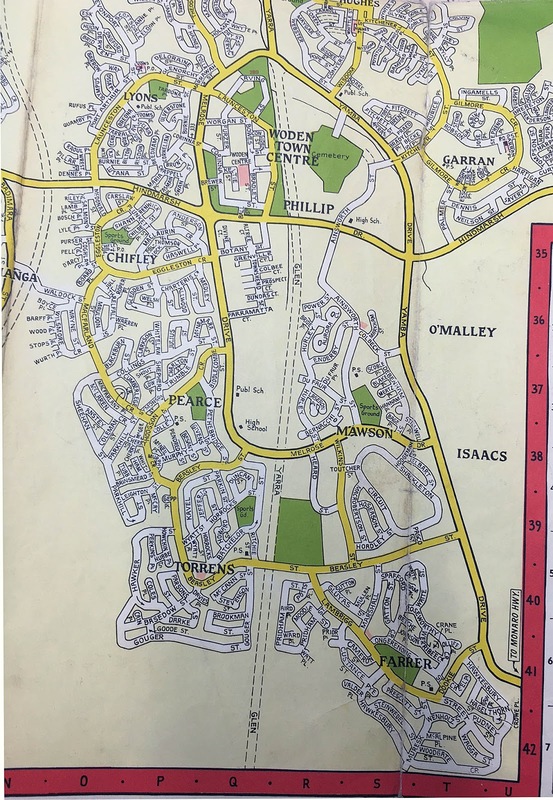 Interestingly it is the 1970 map that excites us the most. It is not held in any other library in Australia that we can find. In 1970, our suburbs reached to Farrer in the South and Latham in the North and the streets were laid out for Holt. We are cataloguing these immediately so they will be available in the ACT Heritage Library in the next week. We are very grateful to the generous people who donate before they dump. 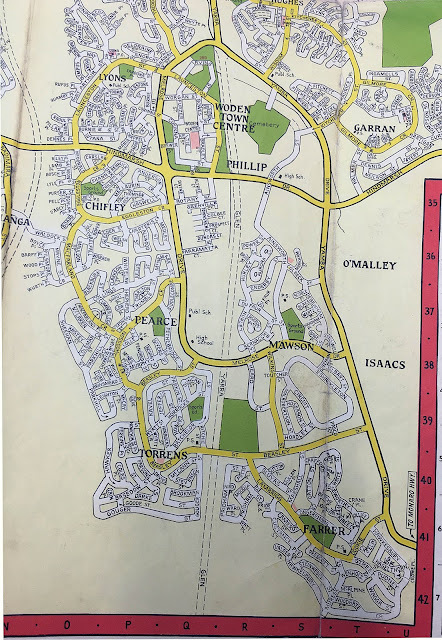 We would never have thought that a 1970 map wasn't available anywhere else and we are proud to ensure its preservation for the future. And the two maps we don’t need? 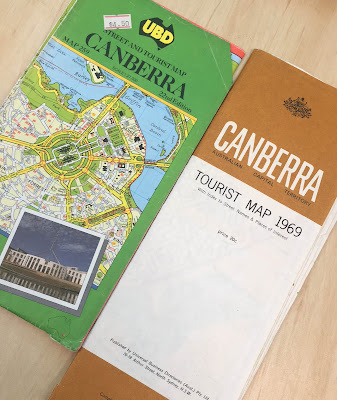 They will be available for purchase at the next Libraries ACT Book Roundabout Sale at Tuggeranong Library on 14 and 15 October. 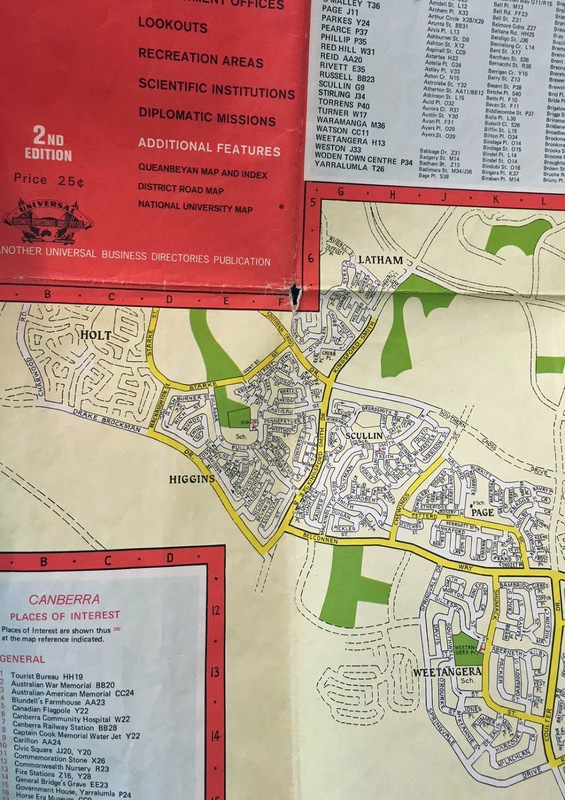 Proceeds of the Book Roundabout support literacy initiatives in public libraries across the ACT.